Ramadaseoul-Jongno was opened in many place of tour,shopping,restaurant. Jongno is easy to go Myeong-dong and Dongdaemun area . Jong-no is close to Jong-myo which is a UNESCO World Heritage. 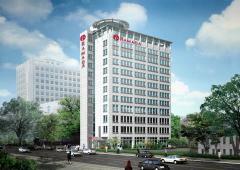 The Ramada Seoul Jongno has 139 rooms and Its a business hotel. Modern interior room is a TV, air conditioning, refrigerator, hair dryer are all equipped with a minimum of equipment. Also the hotel has spa facilities and beauty treatment salon, a restaurant, meeting rooms . * Ramada brand in the world! Ramada is one of the hotel brand of Wyndham Hotel Groom held of about 7,380 hotels worldwide, and rooms of 631,800 more.